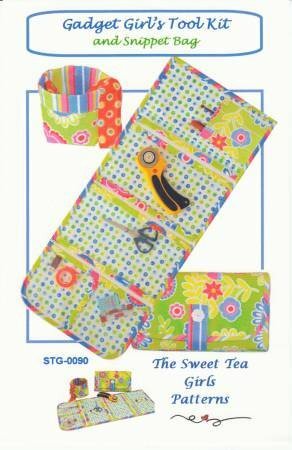 Place all your quilting tools in this handy tool kit by The Sweet Tea Girls Patterns! Tool kit measures 11" X 26" open and 11" X 6 1/2" closed. The accompanying Snippet Bag measures 4"X4"x4" with cuff folded and 4"x4"x5 1/2" unfolded.